Looking for safe and fast mobile payment app? So, Today, I am going to tell you about most secure apps to make payment online. Welcome to our blog. So, Today we will discuss Secure apps to pay online. We know that Online money transfer is risky! Because of 'Hackers'. Yes, They can Hack your all data as well as wallet balance in a few seconds. To stay secure from Hackers, you must need a Secure App to make payment in India. So, Let's get started. In the cashless era, mobile wallets are used for different purposes like mobile recharge, taxi payment, shopping, DTH Recharge, bill payment etc. These wallets have discount and cashback offers which attract customers. Before use any mobile payment application these are the following criterias the app must required. - That app is accepted and certified everywhere. - You can do all the basic tasks with Apps. - Payment transactions occur in real-time. - You can transfer the balance of this app to your bank account. Note: All Apps are available on Google Play store. I am sure that you know about Google Pay app which is Safe, Secure and Fast to make payments. By this app, you can also Pay your Bill and Recharge your SIM at just one click. Also, you can earn wallet balance by referring your friend. #PaytmKaro Yes, Paytm is also a good option to make payments with a lot of feature like you can make a bill payment, recharge your SIM, Add money to Google Play store, Pay money at Hotel and Shops, Purchase tickets of Train and Flight and many more... Safely. PayTM is now India's most popular Payments app and it offers most of the required services. You also get an optional feature of PayTM Payments bank, in which you can transfer your money and get a 7% annual interest as well. It is an authorized bank, which you can also get a debit card and with that debit card, you can withdraw money from any partner ATM in your Payments Bank. Mobiwik is also a very good application to make payments. This app is just similar to Paytm. By this app, you can easily make payments in just few click i.e, Choose Receiver - Enter Cash Amount - And Done! Simple ; ) You can also win wallet cash by referring your friend. PhonePe, One more application to make payment online. This app is just also similar to Mobiwik and Paytm. Similar Functions, But, It is very secure and safe to make payment and Purchase tickets online. FreeCharge is also a very good application to pay money in just a few clicks. Its offer you many CashBack offers. So, you can save money. It is very simple to use it! 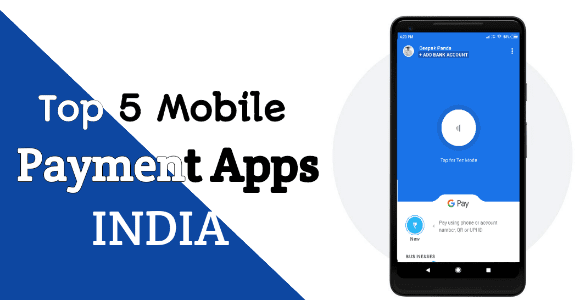 I hope you like our article on "Secure Apps to make payment" For more, You can subscribe to our blog for daily newsletter service. Also, Share this post with your friends.